Course Preview: Develop Your Intuition: Deepen Your Insight. 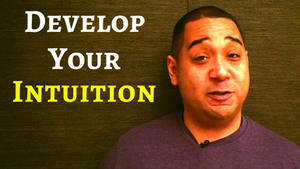 Develop Your Intuition: Deepen Your Insight. Attune To Your Inner Guidance & Unlock Greater Clarity. Greater Clarity Within Your Everyday Life. Make Daily Decisions Much More Easily. Awaken & Develop Your Inner Knowing. Strengthen Your Inner Vision, Known As Clairvoyance. Recognize And Develop Your Inner Hearing. Benefit From Your Own Intuitive Empathy. Identify Intuitive Messages All Around You. Pinpoint Special Types Of Intuitive Dreams. Improve Your Recall Of The Dream State. Deepen Your Intuition With Special Exercises. Develop Greater Clarity In Your Everyday Life. The Student Should Be Able To Use A PC At A Beginner Level. A Desire To Learn About Intuition And Time To Watch Some Easy Videos. Student Interested Deepening Their Insight & Developing Greater Clarity. Students Interested In Developing Their Intuition & Inner Guidance.